Our mission, from our inception, as it remains today, is to honor and remember the past accomplishments of our Fresno County athletes, to annually celebrate the enshrinement of our new inductees and to provide inspiration to our youth so they too can become all they can be in their lives. The Fresno Rockets softball team was started in 1946 by Dutch Chandler and Kermit Lynch, former players for the World Champion Hammer Field Raiders softball team. In 1946 the team was initially called the Fresno San Joaquins, then the Fresno Roma Girls, and in 1947 they were named the Fresno Rockets by Ed Orman, sports editor for the Fresno Bee. Many of the players were local, but Dutch and Kermit went to the Bay Area to recruit some of the players from the disbanded Alameda Girls championship team, namely Kay Rich and Bernice Amaral. 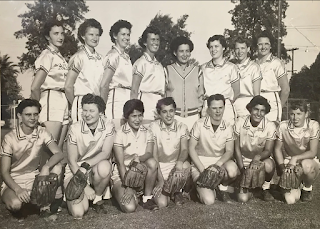 Members of the original team were Jean Everest, Delores Littlefield, Mary Rider, Doris Voss, Etta Nickels, Ginny Busick, Alice Pallici, Vera Miller, Nadine Nichols, Pat Richmond, Rene Huber, Eleanor Miller, Betty Malm, Barbara Jigouleff, Alyce Anderson, and Rich and Amaral. 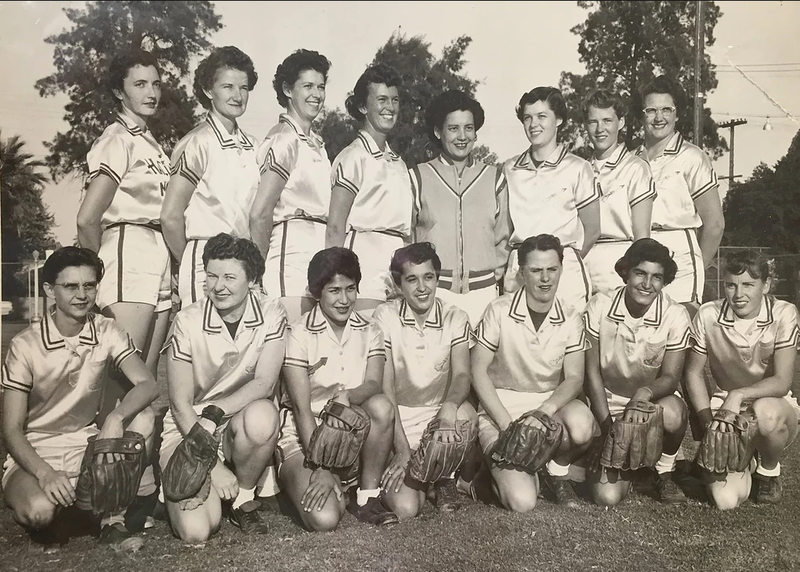 The Rockets played in the Pacific Coast Women’s Softball League that included teams from Portland, Orange, Buena Park, Phoenix, Salt Lake City, Huntington Park and Whittier. World tournaments were the goal of all teams and the Rockets got to see the U.S.A. via automobile while traveling to tournament sites in Detroit, Cleveland, Toronto Canada, Orange, Florida, Portland, Connecticut and Buena Park. The Rockets were dominant in the 50’s winning A.S.A. World Championships in 1953, 1954 and 1957. These teams were inducted into the Fresno Athletic Hall of Fame in 2002. Several players have been inducted into the A.S.A. Hall of Fame in Oklahoma City: Ginny Busick, Kay Rich, Gloria May and Jeanne Contel. These four plus Vera Miller are in the FAHOF. Many young women wore the Rocket uniform until the team disbanded in the early seventies. The Fresno Rockets' Team Members. Surviving members of the first team are Kay Rich, Etta Nickels Weaver and Eleanor Miller. Rich and Miller were in attendance at the 2016 Enshrinement Dinner. Each year some of the former members attend the Fresno Athletic Hall of Fame dinner and then meet the following day for a reunion. 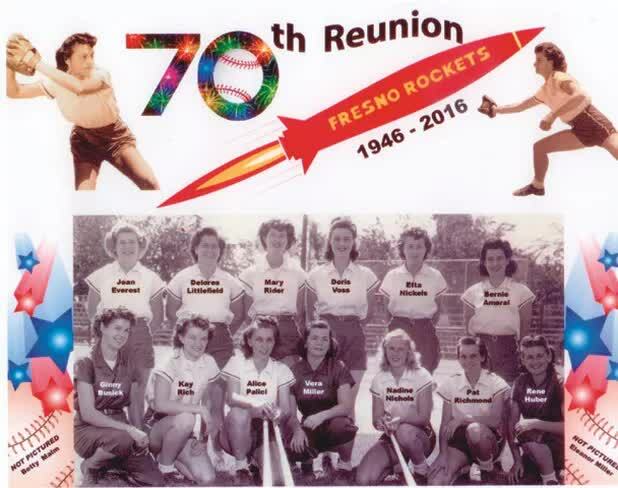 This year they celebrate the 70th anniversary of the founding of the Fresno Rockets. The Fresno County Athletic Hall of Fame is dedicated to honoring the accomplishments of our great athletes and community leaders. Today we have over 400 individual and team inductees recognizing the accomplishments of the best of the best in Fresno County Athletes. The Fresno County Athletic Hall of Fame is a non-proﬁt organization that depends upon the support of the community and local businesses.